Product #21853 | SKU NC3FXS-B | 0.0 (no ratings yet) Thanks for your rating! 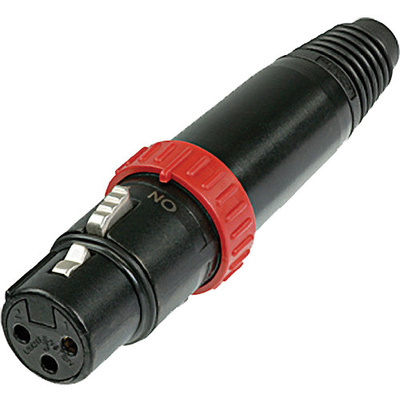 The Neutrik NC3FXS-B FXS 3-Pole Female Cable Connector is designed for use with a microphone without a switch. It is an FX cable connector with noiseless on/off switch short-circuiting contacts (2 and 3).